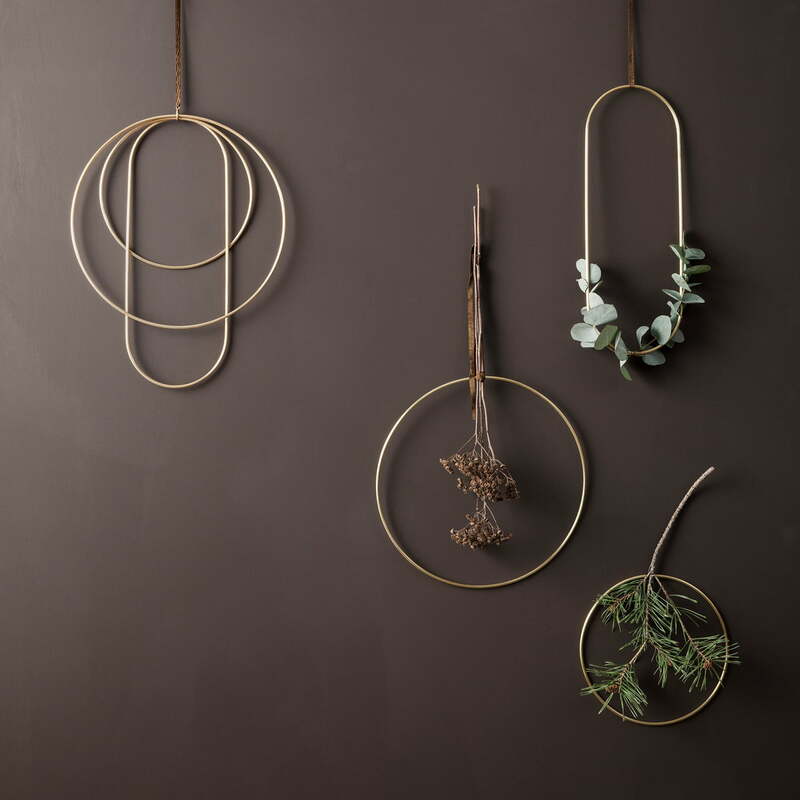 The set of 3 decorative frames by ferm Living consist of simple brass rings that create a festive atmosphere on the wall or above the windowsill. The rings belong to the Christmas collection by ferm Living, but thanks to their noble and timeless form they can also embellish the living area all year round. The rings are particularly festive and decorative when twigs and branches are wrapped around them. In winter it can be mistletoe branches, fir branches or dried flowers, while in spring willow catkins, forsythia branches or cherry blossoms become an eye-catcher. Both alone and in a group, the rings look great on any wall. 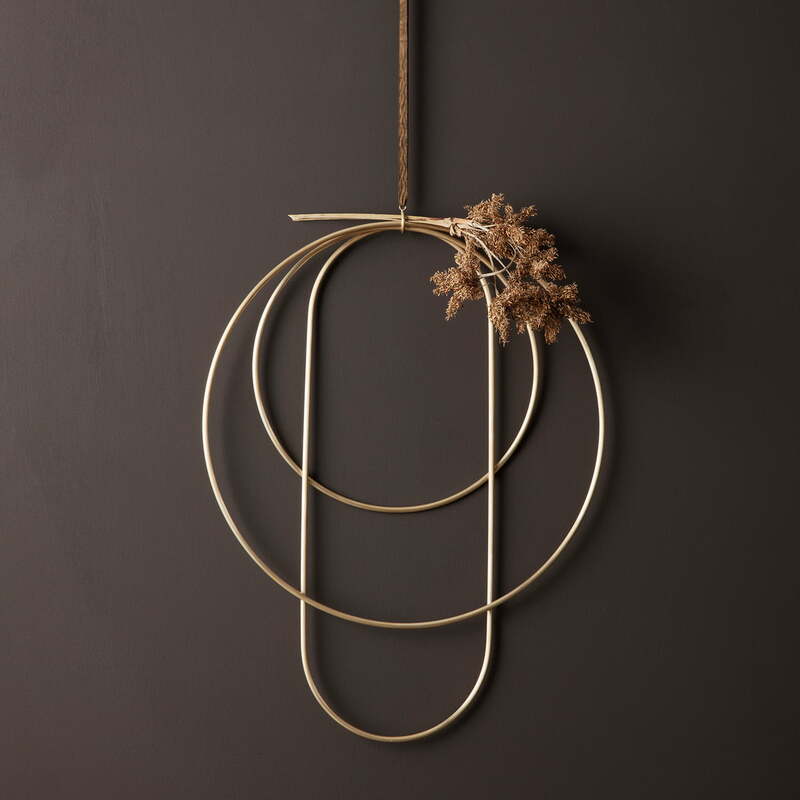 Isolated product image of the Deco Frames by ferm Living: The set of 3 decorative frames by ferm Living consist of simple brass rings that create a festive atmosphere on the wall or above the windowsill. 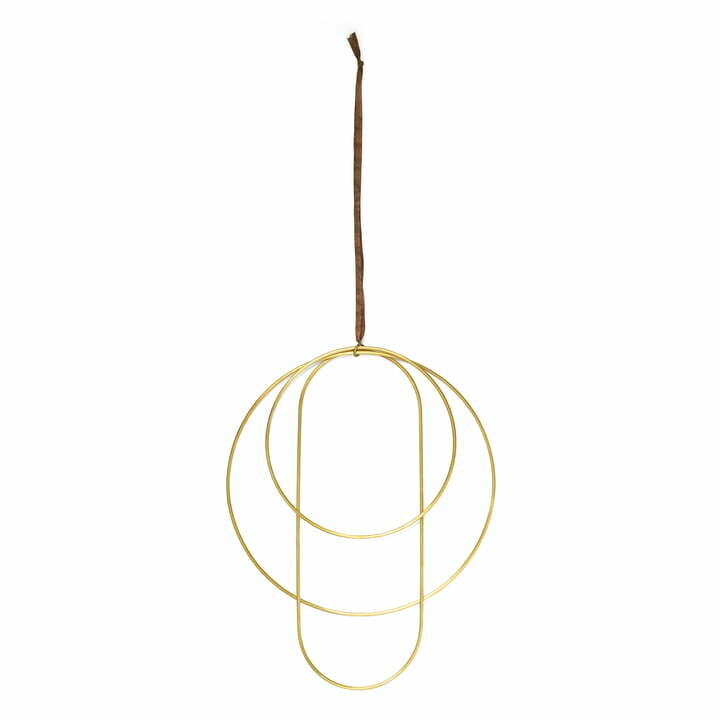 The rings belong to the Christmas collection by ferm Living, but thanks to their noble and timeless form they can also embellish the living area all year round. The rings are particularly festive and decorative when twigs and branches are wrapped around them. In winter it can be mistletoe branches, fir branches or dried flowers, while in spring willow catkins, forsythia branches or cherry blossoms become an eye-catcher.